Morrisons' like-for-like sales dropped dramatically by 7.1% for the quarter ending 4 May, as it gears up to take on the discounters with considerable price drops. 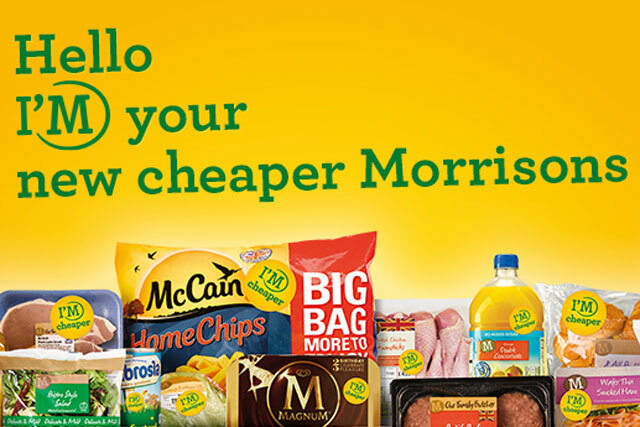 The torrid sales performance piles further pressure on Morrisons’ latest strategy, in which it introduced permanent price cuts on 1,200 items on 1 May in a move it is advertising with an ‘I’m your new cheaper Morrisons’ strapline. Morrisons says it will invest £1bn in cutting prices and improving products in the next three years as it seeks to "re-establish" its reputation as a "value-led grocer with a focus on fresh food". Dalton Philips, chief executive at Morrisons, said: "The plans we set out at our results in March are on track. The reaction of our customers to the 1,200 'I’m Cheaper' price cuts we announced last week has been very positive. "Although it will take time for their full impact to be felt, we are confident that these meaningful and permanent reductions in our prices will enable our clear points of difference to resonate strongly with consumers." The supermarket chain claims Morrisons.com, its new online grocery platform, is performing ahead of expectations, with "industry leading metrics" when it comes to on-time deliveries and replacement times. Morrisons will make its first deliveries in London on Monday 12 May, having already launched the service in Warwickshire and Yorkshire. However, the significant drop in like-for-like sales has raised alarm bells with retail commentators. Phil Dorrell, director of Retail Remedy, believes that, "whatever Dalton Philips says about the supermarket's plans being on track, Morrisons is well and truly off the rails". He added: "In fairness to Morrisons, you need to give the new initiative some time to feed into the like for likes, but at the same time, a strategy that is based purely on price cutting is a dangerous one. "Add in a lack of leadership, an estate that lacks excitement, uninspired marketing, cautious consumers and an online strategy that is playing catch-up, and you have a grocer with real problems."